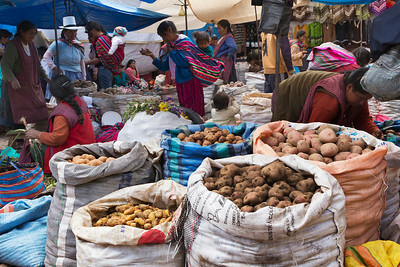 For students to learn about some of the causes of the food crisis in Latin America and the concept of Food Sovereignty. Junior Cycle: Strand 1, Communicative competence, linked to LO 1.6, 1.7. Give students one of the readings and ask them to read it and answer in English. You can give the different readings to different groups and, after they answer the questions, they can present them to the rest of the class, so all the students learn about the other cases. • Though the questions are to be answered in English, using the Leaving Cert model, you can ask the students to answer them in Spanish. • You can ask Students to represent what they read through a play in Spanish. • Students could try and summarise in Spanish what they read. They can write a couple of sentences about it or tell the rest of the class what their reading says. After seen the causes of the food crisis in some places in Latin America, what do you think we can do from Ireland to support producers in Latin America? (Ideas: buying fair trade, learning multinationals displacing communities).